How Can You Benefit from Hiring Construction Site Cleaning Services? Cleaning a construction site after a job is done can be extremely time-consuming. If outside experts aren't hired, you and your construction crew may end up spending extra days cleaning up the aftermath. This is why so many construction crews can benefit from hiring professional cleaners. If you have a construction job coming up, let's take a look at a few reasons to hire a professional cleaning crew. Safety: Cleaning up a construction site can be pretty dangerous -- from using tools and equipment to even being in the dusty area, your workers could get hurt or be exposed to health risks. Fortunately, professional cleaners are trained to clean up safely. They know how to use cleaning equipment properly and which cleaning supplies should be used for which purposes. Furthermore, you won't be held liable if one of your workers get hurt cleaning things up. Overall, professional cleaners can make sure the site is cleaned and everyone in the area is kept safe. Productivity: When your workers have to worry about cleaning up after they're done with their jobs, they have to spend more time cleaning and less time doing their actual jobs. Investing in cleaning services can allow your workers to do the job they're trained to do and give them the time they need to do it. Not only will hiring professional construction site cleaners allow your workers to get their jobs done easier, but it can also save you money. According to HomeAdvisor, cleaning up a construction site can cost anywhere from $150 to $950. But hiring a cleaning crew will cost less, get the job done quicker, and get it done right. Efficiency: Construction crews are trained to do construction, not find hidden messes that need to be cleaned. This is where professional construction site cleaners come in -- they are trained to clean not only the obvious messes, but they know where to look for the hidden messes too. This means that every space will be properly cleaned and it will get cleaned quickly. 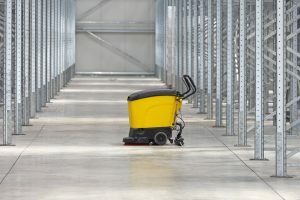 They'll make sure the right supplies or tools are used, that no damage is done in the cleaning process, and that the job gets done as quickly as possible. As you can see, there are endless benefits to hiring professional cleaners. So save yourself and your crew the trouble and hire construction cleaning services to get the job done right.